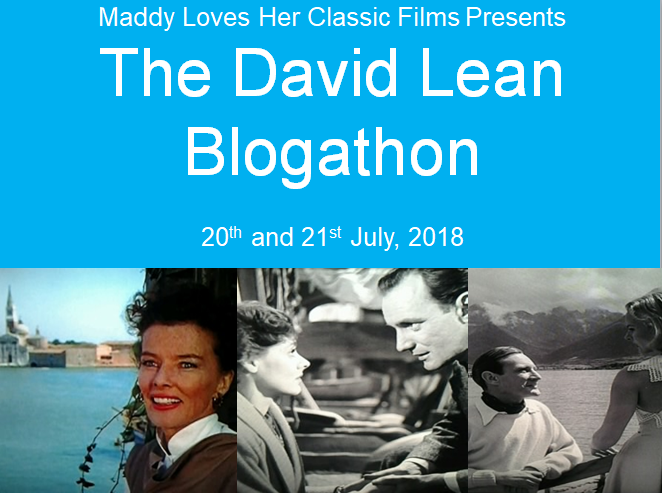 The always sensational, lovely and talented Maddy is doing a blogathon that pays tribute to the great mastery of David Lean. I decided to review Doctor Zhivago. A sweeping epic of romance set during the Russian Revolution and War, Doctor Zhivago is a classic of film making from the imagery to the acting. It’s an epic in nearly every sense of the word. The movie begins with General Yevgraf Zhivago searching for what would be his niece. He finds a girl who he believes to be the one and narrates the story of his half-brother and lover. The story flashes back to Yuri losing his mother. He is taken in by the Gromeko family and moves to Moscow, where he is raised along with their daughter Tonya. He grows up to be a doctor and in his spare time, he writes poetry that reveals his romantic outlook on life. Meanwhile and nearby, Lara is a beautiful young woman who is in a relationship with passionate revolutionary Pasha, but is seduced by the much older and nastier Victor Komarovsky. Being naive and unsure of her feelings, she is used by him as he does with nearly everyone else. Yuri and Lara briefly meet when she shoots Komarovsky for his brutal treatment of her. Though it is brief, Zhivago is taken with the beautiful Lara. 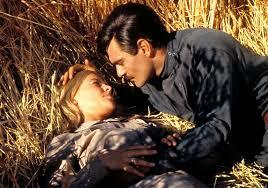 When World War I breaks out, Zhivago is drafted into service for his medical knowledge and Lara volunteers as a nurse. This is where their romance begins, though it is interrupted frequently by the upcoming Revolution and the chaos of events. Yuri marries Tonya but he still holds a flame for Lara, though he doesn’t act in his romantic feelings for her. Over the course of years, their love deepens as Zhivago flees from the rise of Communism and they continue to meet but be separated. Though they pursue romance, fate and time has other ideas for the pair that aren’t going to run at all smoothly. David Lean, whose movies are so full of majesty, is on dazzling form here. He spins the story of the star-crossed lovers in a changing world and though the film is epic and grand, manages to convey the intimacy of the love story among all the chaos. He’s a true artist of the form of movie making and his fingerprints which are extremely stylish and sensitive make Doctor Zhivago a treat. His immense eye for detail is on full show and the sheer scope of images that haunt the mind are too many to list. Aiding him is Freddie Young’s atmospheric and sublime cinematography and the iconic Maurice Jarre score, which features the lilting ‘Lara’s Theme’. Special mention must go to production designer for his sets which are striking in every way . 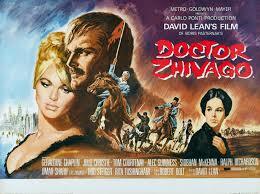 With Lean at the helm with ever meticulous style, all these elements make Doctor Zhivago a visual masterpiece. Memorable scenes abound like the dragoon attack on peaceful protesters, a perilous train journey and Lara and Yuri’s getaway in an ice-covered dacha. Many have accused this movie of oversimplifying events during the Revolution and to some extent, it does do that. But it’s not to any detriment of the movie and as so much happened in the Revolution and War, it would be impossible to cover everything. Instead, we are at least given an understanding of a country changing rapidly and the impact it has on lives. Robert Bolt’s screenplay gets to the centre of upheaval and makes it accessible for the audience to follow in the films long running time. And what events they are as the Revolution and World War I alter the world irreversibly and the romance at the heart is tested at every turn. It’s not aiming to be a factual lesson, but it still has enough clout at capture the ups and downs of life at the time of World War I and the Russian Revolution. The starkness of the times is deeply felt as the world undergoes significant change. And it brings with it great emotion, especially in the thwarted and doomed romance of Zhivago and Lara. If you don’t feel at least moved by the movie, you must have a heart of ice. Omar Sharif quietly conveys the longings and sensitive nature of the title character. Some may say he seems like a bystander in his own story, but Zhivago as played by Sharif is very much alive, especially when in the company of his beloved Lara. It’s all in his eyes and how they react to the world around him. 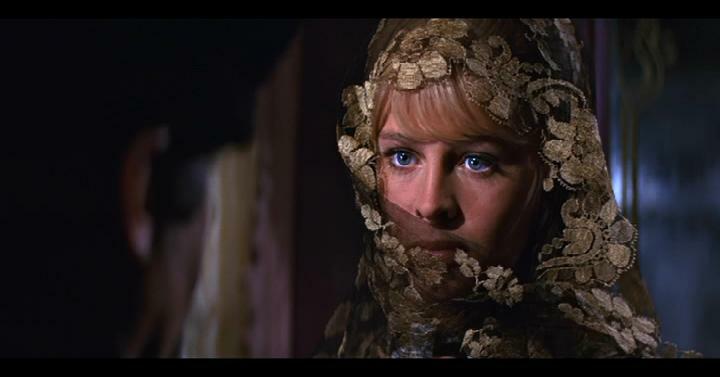 The lovely Julie Christie supplies the inspiration and romance of the film with her turn as Lara. With her face(which my Grandfather said was made for cinema), you can witness the growth of a woman from vulnerable girl to passionate survivor over the course of the film. And she looks so beautiful in this movie; those blue eyes and prominent cheekbones complimenting her serene and soulful delivery of muse to. Understated passion is her biggest triumph that she contributes to events. Plus, her chemistry with Sharif is palpable and extremely convincing as the love story plays our against fate and time. Geraldine Chaplin has a radiant and almost motherly quality that she brings to the screen, while the excellent Tom Courtenay captures the anguish and loss of morality of a revolutionary forever altered by the brutality he encounters. Rod Steiger is a huge standout as the loathsome but not altogether evil Komarovsky. He’s a slime ball who sides with anyone he can in order to make his way, but Steiger discovers a certain level of humanity beneath the leering and vindictive face of the man. And rounding out the main players is the ever reliable Alec Guinness, who functions as narrator. Passionate, full-blooded and breathtakingly beautiful, Doctor Zhivago has David Lean displaying all his talents and sense of epic vision. 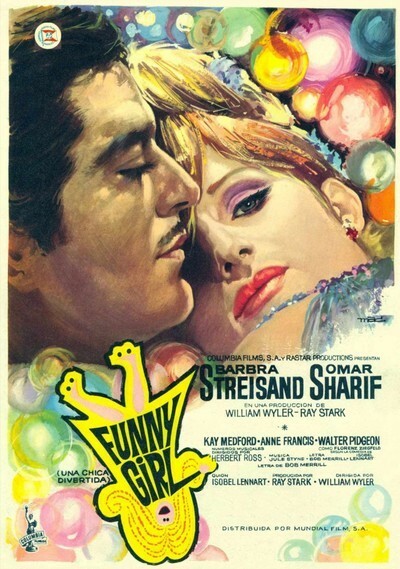 A colourful and well mounted movie version of the hit play, itself loosely based on the life of comedienne Fanny Brice, Funny Girl launched Barbra Streisand to movie stardom in her debut role( which garnered her an Oscar.) It’s a wonderful showcase for her and despite a lengthy running time, has more than enough virtues, wonderful music and moments of excellence to entrance. It is the early part of the 20th Century and in New York, Fanny Brice is Jewish girl of modest means but massive dreams to be a star. No matter who tells her that her nose is too big or her legs are too skinny, Fanny strives to attain life on stage with all she’s got. Initially she starts as a bit player on the vaudeville stage, where her lack of classical beauty and awkward movements stand out a lot, but her determination perseveres. Thankfully, during one particular show, her coltish mien and clumsy mannerisms actually endear her to the audience, and she is a resounding hit. Around this time, she also encounters the dashing gambler and businessman Nick Arnstein, who will play an important role in her life in the years to come. With her act growing more popular, she is shocked and excited when she is hired by the legendary Impresario Florenz Ziegfeld. Fanny can’t believe her luck at being given the opportunity to become a big star as a Ziegfeld girl. Yet with her comedic timing and need to be funny, she at first rubs Ziegfeld up the wrong way. Later, she takes to stage and re-invents a number in her own cheeky way. Ziegfeld is perturbed but seeing how talented she is, encourages her comedienne act. The attention then turns back to Fanny’s relationship with Nick Arnstein, who sweeps her off her feet after years of brief encounters, resulting in marriage. Passionately in love with Nick, Fanny leaves the Follies to concentrate on her love. Yet the ensuing years reveal cracks in their union as Nick becomes resentful of his run of bad luck and Fanny’s continued success. Getting back into performing yet slowly growing unhappy with events, Fanny sees that life is not always as funny as her act. William Wyler, a most experienced and versatile director, ably and admirably directs Funny Girl; finely judging the funny and light first half and the later bittersweet and dramatic stages. Wyler finds both happiness and sadness in the tale of Fanny Brice, while allowing the production and acting take the biggest chunk of the pie. Superb production design and simply gorgeous costumes are featured, with all the gloss of an Old Hollywood production. One can see that Funny Girl was definitely a prestige project, owing to its luscious photography, dazzling choreography and of course the music. Though the story can feel like standard rise to the top stuff that’s been done dozens of times, the fact that some of it has basis in reality adds and it carries an emotional undercurrent throughout. Now Funny Girl is by no means flawless, as the midsection drags and starts to strain in comparison with the rest of the story. A tad of editing and trimming may have benefited this half of the movie. Luckily, there are many elements that compensate for those niggles and keep you watching the largely engrossing movie. Chief among these are the delightful musical numbers, performed with gusto and depth largely by Barbra Streisand. She gets into the songs so much, fully living them to the highest degree. From an amusing roller skate sequence to the moving ‘People’ and defiantly show stopping ‘Don’t Rain On My Parade’, the musical sections are gorgeous and filled with vitality. What really makes Funny Girl that something special is the outstanding Barbra Streisand. It’s hard to believe that this was her movie debut because of the confidence and ease with which she plays Fanny Brice. Sure she had played the part on stage and was a legit music star, but cinema is a totally different ball game that Streisand rose to, with Oscar-winning results. Embodying a cheeky, gauche charm that later morphs into sadness and disillusionment as her marriage falls apart and it becomes more difficult to put on a smiley face, Streisand’s commitment and exuberant talent announces itself loud and clear. Expertly funny, unwaveringly purposeful, heartbreaking and with a gorgeously soulful voice, Barbra Streisand earned her Oscar with this stunning performance. Omar Sharif has the required smoothness and ultimate desperation for Nick Arnstein, whose serious gambling problem causes his anger at the way things have turned out. Streisand and Sharif share a very good chemistry, going from charmed and loving to torn apart with conviction. Kay Medford is observant and wise as Fanny’s movie, while the role of Ziegfeld is acted with proper aristocratic ability by Walter Pidgeon. The supporting players do well in their parts, but the film belongs to Barbra Streisand. A splendidly told musical full of glamour, heart and pangs of sadness, Funny Girl is a bravura film that announces the talents of a legend. It can get long-winded, but the overall dedication of those involved makes Funny Girl a sublime film to enjoy.